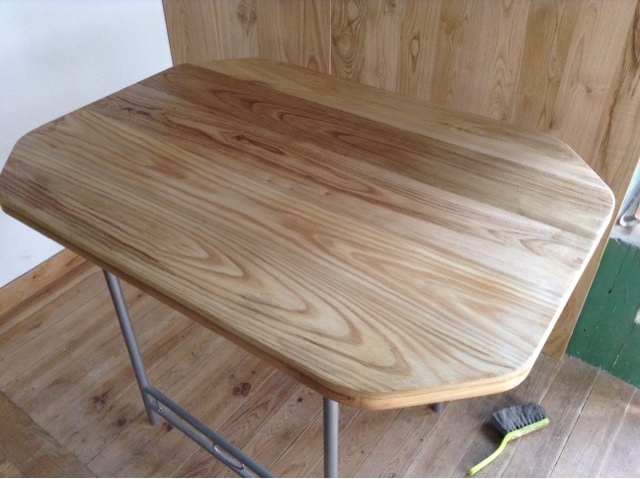 For a while I have had a lot of jobs to finish and my table was one. I had ordered a load of timber all cut to various sizes and today I felt like starting on my table and the picture shows how it looks after the first coat of varnish. As my table will be in daily use it needs plenty of the hard varnish I have to build up a great finish so it's lots of hard work from me. As the seats are round i have given the job to Chicco to make new seats for me but it's me who will have to varnish them afterwards.